Spanish blackjack (also known as Spanish 21 blackjack) is another derivative of the classic table game. Since being introduced within land-based casinos over twenty years ago, the game has grown to become a popular favorite within the gambling com munity. Thus, it is no surprise that many avid online gamblers look to play the game on their preferred sites too. If you would like to learn more about Spanish blackjack and playing this game online, you’ve come to the right place. Below we detail all you need to know about playing this amazing card game in our comprehensive guide. This includes an explanation regarding the differences between regular blackjack and Spanish blackjack as well as a few strategies for the game. Spanish blackjack is just another variation of the classic card game. The game was first introduced in casinos around the world during the mid-90s. The only major difference in this version of the game is that 10s are removed to create a deck of 48 cards instead of 52. Some believe that this may increase the house edge (as 25% of 10s are missing. However, it is important to note that there are several other rules that improve player odds that we’ll get into a little bit later. There are a couple of rules that negatively impact player odds in Spanish 21 blackjack. In fact, it almost doubles the house edge when compared to other versions of the card game. One such rule is the fact that dealers need to hit on a soft 17, whereas in other variations they stand. There are different rules and gameplay dynamics that make Spanish blackjack an extremely exciting game to play. However, the increased house edge is something you should keep in mind when deciding whether to play it or not, especially as the game is one of the most profitable blackjack variations available. On a hard 16 – surrender if the dealer has an Ace. Hit against a 7 and a 16 made up of at least five cards. On a hard 17 – again, surrender if the dealer has an Ace. If the dealer has a score of between eight and 10, stand. On a soft 13, 14 or 15 – always just hit. On a soft 16 – it is in your interested to double down if the dealer’s hand shows a six. You may also want to hit if your 16 is made up of more than four cards. 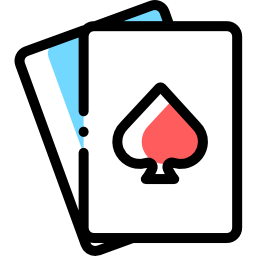 On a pair of 2s or 3s – split your hand if the dealer has got cards between three and seven. On a pair of 9s – we advise you to split if the dealer has a score of between three and six. If you’re unsure about the game, we do recommend that you learn how to play Spanish 21 blackjack through making use of a casino’s free play game mode.